Clarks Comic Air boys canvas shoe. 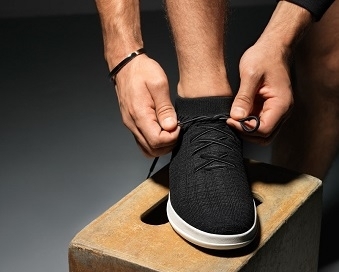 It features a canvas upper with a contrasting heel loop tab. 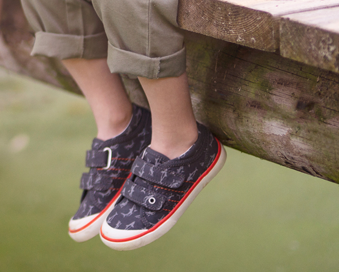 The double Velcro fastening allows for adjustability and provides a secure fit when walking. A great style for all ages as it is easy to put on and take off. The raised bumper toe provides further protection from scuffs and scrapes, whilst the cushioned leather insole provides lasting comfort. Machine washable at 30 degrees, meaning it can be kept looking cleaner and newer for longer. Available in navy camo print (navy multi), blue combi (blue multi), red combi (red multi) and navy.